Gather outdoors in Tulsa districts for activities like yoga held on the Guthrie Green in the Tulsa Arts District. 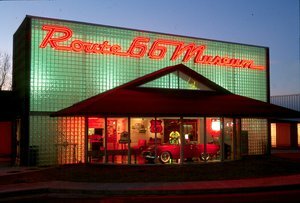 Oklahoma's second largest city draws in countless visitors for sold-out arena shows, iconic attractions and amazing food that can be found across Tulsa's many unique neighborhoods and entertainment districts. History buffs are sure to appreciate the opportunity to see crucial cultural locations, while foodies can embark on many culinary adventures within walking distance. Arts districts welcome gallery lovers and theater aficionados with open arms, while design districts appeal to architecture admirers. 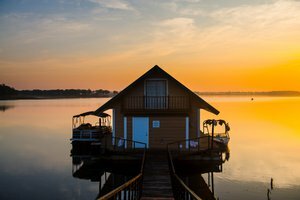 Whether heading to Tulsa for business or pleasure, be sure to reserve a few hours for trekking across some of the town’s most historic hotspots and distinctive districts. Found in downtown Tulsa, the Tulsa Arts District, formerly known as the Brady Arts District, tends to attract a wide variety of concertgoers and art lovers. Before it transformed into a modern-day entertainment area, the historic Tulsa Arts District contained red brick warehouses and the original Convention Hall, built in 1914. In the 1970s, the hall became the Brady Theater, and in the 1990s, the Tulsa Arts District underwent a creative boom and revitalization that brought in a bevy of small businesses, as well as visual and performance arts venues. Live entertainment is the main draw of the Tulsa Arts District, with live performances held at the outdoor Guthrie Green amphitheater and top-notch festivals like Hop Jam and Blue Whale Comedy Festival hosted at area venues. Park your car at Cain’s Ballroom, The Vanguard or the Brady Theater hours before your concert starts, and immerse yourself in art galleries just a short walk away. Glass and paper art installations await at 108 Contemporary, while the Tulsa Glassblowing School enlists studio professionals to demonstrate their fine craft for the public to see. After the night’s shows come to a close, stop by the Valkyrie or Bar 46 a visit for a craft cocktail, or channel your leftover energy into some late-night dancing at Club Majestic. In addition to its famous art attractions, the Tulsa Arts District is also the home base for the Tulsa Symphony Orchestra, and offers a variety of family-friendly destinations like the Woody Guthrie Center filled with relics and exhibits focused on the folk music icon. After exploring the area with Tulsa Bicycle Tours, grab a quick bite to eat from Coney Island Hot Weiners, or fuel up with offerings at Laffa Medi-Eastern Restaurant & Bar, Mexicali Border Café or Hey Mambo (bonus points for snapping a photo of the Homage to Oklahoma Women Mural on the side of the building). Visitors can also pick up delectable chocolate truffles from Glacier Confection before meeting a friend for coffee at Chimera or Gypsy Coffee House. Popular events like the Williams Route 66 Marathon & Half Marathon or the monthly First Friday Art Crawl are other great opportunities to spend some quality time getting to know the neighborhood. In recent years, Tulsa’s Pearl District, one of the oldest neighborhoods in the city, has seen a return to the area’s original pedestrian-friendly, multi-use atmosphere as a premier arts and entertainment destination. Anchored by Tulsa Centennial Park, guests and locals can now stroll down the section of Peoria Avenue that once went by the name of Pearl and enjoy views of the downtown skyline while walking. Alternative arts abound in the Pearl District, referenced by the Pearl District Mural, an official introduction to the area. The Made in Oklahoma craft beer business booms at Dead Armadillo Brewery & Taproom, and the DIY punk aesthetic thrives at the annual Tulsa Punk Rock Flea Market held each spring. Creative minds meet over a cup of joe at The Phoenix coffeehouse or local roastery Cirque Coffee, before visiting the fashionable innovators at Two Guys Bow Tie Co who peddle a variety of unique wooden handcrafts. Music fans can catch a local show while chowing down on gastropub fare from Soul City of Tulsa’s scenic outdoor patio or discover new bands and rare vinyl finds at Josey Records Tulsa. Modern-day ninjas can even train for upcoming obstacle courses at the unique Conquer Fitness training gym. Aside from newer cafes and arts bars like Freeway Café and Lot No. 6, The Pearl District also contains more seasoned veterans who stuck it out through the district’s earliest days. Ike’s Chili House remains a Route 66 favorite for hot dogs, burgers and all kinds of chili creations, served fresh to order since 1908. The historic El Rancho Grande has continued whipping up top-notch Tex-Mex and refreshing margaritas since 1953. Even the Nightingale Theater has been around for more than a decade, bringing powerful stage productions to the stage since 2000. Visitors can even catch a glimpse of Leon Russell’s The Church Studio, where the Oklahoma-born rock icon hosted major recording and jam sessions in the 1970s. After its days as the Restless Ribbon, the Brookside District now sits as a prime shopping destination with the perfect balance of new and old businesses. Travel up and down South Peoria Avenue in Tulsa, and explore the Brookside District, containing many a local business. What started with the Brookside Drug Store in 1940 has seen many transformations over the decades. Since then, the area became a family-friendly place with a theater and many scoops of free ice cream before turning into a popular hangout spot for teens in the 1960s and 1970s. After its days as the Restless Ribbon, the Brookside District now sits as a prime shopping destination with an even mix of new and old businesses. Venture into Brookside and take home an array of gifting goods and an updated wardrobe procured at the area’s shops. At Ida Red General Store, visitors can pick out Tulsa tees and Oklahoma mugs as well as one-of-a-kind coin purses and gourmet sodas. Abersons has offered contemporary styles for more than forty years, while Little Black Dress has helped the ladies accessorize since the mid-2000s. Depending on the time of year, you’ll want drop in on some of Brookside District’s annual events. In spring, chefs and gardeners gather for Herb Day in Brookside to stock up on herbs and birdhouses on hand. Come summer, motorcycle enthusiasts can look forward to the Brookside Rumble & Roll street party, while in prime produce seasons, locals can grab homegrown fruits and vegetables at the Wednesday morning Tulsa Farmers’ Market. In October, dress in your scariest Halloween costume, and join the ranks of fellow witches, clowns and devils for the Boo Ha Ha in Brookside parade and costume contest. 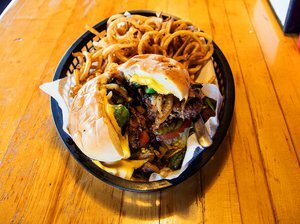 Besides national chains and local boutiques, Brookside District boasts plenty of delicious eats, from the classic statewide Bricktown Brewery chain to Weber’s Root Beer & Burgers, a local favorite since 1933. When burger cravings strike, stop by HopBunz Crafted Burgers & Beer, or dive into a roll of sushi at Sushi Hana Japanese Fusion. Elmer’s BBQ will fill you up with the tasty "Badwich" (beef, bologna, hot link, smoked sausage and rib sandwich) while R Bar & Grill serves up tasty snacks like cheese curds and Bavarian pretzel. If you’re staying out late, enjoy a couple rounds of billiards at Sharky’s on Brookside or a nightcap at Another Round to round out your Brookside escape. History comes to life in Tulsa's Greenwood Historical District. Formerly known as “Black Wall Street,” Greenwood residents experienced a series of successful developments alongside racial tension. North Tulsa teemed with African American-run businesses until the riots of 1921 led to the destruction of most of the area. In the 1930s and 1940s, the area saw a revival and a transformation into a hub for jazz music and movers and shakers of the day. Today, head to Greenwood Historical District and learn about the rich, complicated history of an area that has risen from profound struggle to hopeful resurgence. Venture through the John Hope Franklin Reconciliation Park to witness a memorialization of the 1921 Tulsa Race Riot displayed through Hope Plaza and its three bronze sculptures about the event. This Tulsa park also includes a detailed history of Oklahoma’s rich African American culture, from slave migration on the Trail of Tears to highlights of modern-day black Tulsa leaders. Then, stop by the Mabel B Little Heritage House Museum to see a historic replica of the restored Prince-Mackey family home, or witness the annual Tulsa Martin Luther King, Jr. Parade. For a final official history lesson on the area, be sure to visit the Greenwood Cultural Center, showcasing the jazz and blues boom as well as memorabilia detailing the area’s unique history. 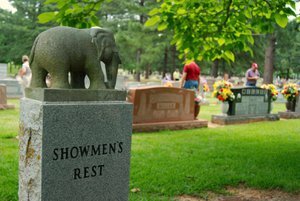 In addition to its historical past, Greenwood Historical District also offers guests a taste of modern-day attractions, from delicious eateries like Wanda J’s Next Generation Restaurant and Fat Guy’s Burger Bar to Tulsa Drillers baseball games. The Living Arts of Tulsa also provides a taste of contemporary art, while She Theatre and Lounge provides ballet-style entertainment in a nightclub atmosphere. Whether dining at Lefty’s on Greenwood or exploring cultural centers, celebrate Greenwood Historical District’s diverse history with a quick trip to the area. Wander over to the Deco District in downtown Tulsa and take a look at the ornate architectural features that have stood the test of time. Named after the art style that characterizes many of the area’s attractions, the Deco District came to prominence during the 1920s oil boom. At the Tulsa Art Deco Museum inside the Philcade Building, you can explore the collection of modern design elements before seeing deco design in action at the Mayo Hotel. In the summer, the annual Top of the Town event gives guests another way to witness Tulsa’s iconic structures from the top of Deco District buildings. After touring through some of the prime architecture in the Deco District, be sure to fuel up with modern cuisine served fresh. At Topeca Coffee Shop, sip on a cup roasted and brewed in house. A tradition since 1984, Billy’s on the Square offers its ever popular char burgers and char chicken alongside followed up with a slice of cheesecake, while New Atlas Grill cures brunch cravings with biscuits and gravy and French toast. Whether seeking Cajun food from Lassalle’s New Orleans Deli, farm fresh Mexican fare from Elote Café or pasta dishes at Ti Amo Ristorante Italiano, you're going to have a standout meal in the Deco District. Finish out your tour of the Deco District with a live performance at the Tulsa Performing Arts Center, or organize an afternoon of earth science activities for the kids at Tulsa Geoscience Center. 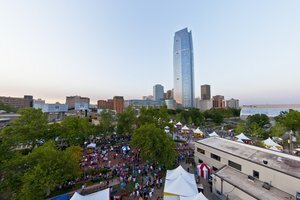 While visiting in the spring, be sure to attend the annual Tulsa International Mayfest for a variety of crafts, arts, music and festival food inside the Deco District. Before heading home after a day spent exploring the Deco District, be sure to browse through Made in Oklahoma goods up for grabs at Okie Crowe or retro-inspired gifts at Decopolis. One of the prime entertainment areas in the state, the Blue Dome Entertainment District offers a rich array of restaurants and attractions. Anchored by the namesake Blue Dome building, a former 1920s-era oil station, the Blue Dome Entertainment District highlights historical places while keeping crowds entertained at destinations like the Comedy Parlor, Dust Bowl Lanes & Lounge and Max Retropub. Take the evening Loop Downtown Shuttle between Blue Dome and Tulsa Arts districts and stop for nourishment and spirits at Arnie’s Bar, James E McNellie’s Public House or Enso Bar. Pizza enthusiasts can fill up with Neapolitan-style pies at STG Pizzeria & Gelateria, while local business supporters can nosh on seasonal farm-to-table meals at Juniper Restaurant & Martini Lounge. El Guapo’s Mexican Cantina specializes in Mexican food and margaritas, while JINYA Ramen Bar concocts hearty bowls of broth & noodles. Brunch and seasonal festivals also abound in Blue Dome. Visitors can start their mornings off right with an order of sriracha honey chicken and waffles at the Dilly Diner, order or scarf down a plate of migas from Bramble Breakfast & Bar. Explore the district’s bars and restaurants with punch card in hand during the annual Mardi Gras Parade, or visit in the summer to cheer bikers on during the intense, three-day Tulsa Tough Ride & Race. No matter the season, guests are sure to stumble across lively city streets within the Blue Dome Entertainment District. Located near Swan Lake in Tulsa, the Cherry Street District contains a cluster of modern businesses housed within classic architectural structures and historic landscapes. In the Cherry Street District, good eats and delicious drinks remain the highlight, although throughout the year, the local German-American society also hosts its annual German-American Day and Christkindlmarkt. Whether traveling solo or gathering with friends, Tulsa’s Cherry Street District offers the perfect restaurant, bar or café for all. For more relaxed vibes, grab a pint of Smithwick’s or a bottle of Magners Irish Cider from Kilkenny’s Irish Pub & Eatery, or nosh on a homecooked burger from The Brothers Houligan. Load up on a hearty sandwich at Bill & Ruth’s Submarine Shop, or down a slice of stone-cooked pizza at Andolini’s Pizzeria. For locally-sourced ingredients, look no further than Smoke on Cherry Street, or fill up with a 12-inch blend of Cheese whiz, peppers, onions and steak sandwiched between a hoagie at Phat Philly’s. Barbecue abounds at Rib Crib, but for a legendary tradition, chow down on tamale pie and wet burritos at the longstanding Chimi’s Mexican Food. Besides various prime dining options, Cherry Street District also offers plenty of hangout spots, from the Palace Café to paint nights at Pinot’s Palette. For a look at impressive paintings and vintage photographs created by Oklahomans, browse through the Pierson Gallery before picking up baked goods at Merritt’s Bakery. After grabbing a cup of coffee with a friend at the Coffee House on Cherry Street, be sure to stop by the Nest on Cherry Street for home decor inspiration. With its abundance of restaurants, cafes and attractions, the Cherry Street District makes for a perfect day trip in Tulsa. As one of seven certified cultural districts in the state, the Kendall Whittier District attracts a sea of local and statewide visitors. Although the flourishing art scene lost some of its vitality during the 1960s, this area has seen a resurgence of businesses, foot traffic and programming in recent years. With landmarks like the Whittier Square clock tower and the Circle Cinema within its boundaries, this Tulsa district attracts many history and art enthusiasts, as well as foodies searching for the perfect pastry at Ann’s Bakery or Pancho Anaya Bakery. Book a stay inside the Campbell Hotel during the annual Kendall Whittier Food Truck Festival, and spend the whole day exploring the district. While discovering old and new businesses in the area, wander into a longstanding business like Freddie’s Hamburgers, open since 1954, or head to Ziegler Art & Frame, open for more than 50 years. Visitors can also sip on a local beer at Marshall Brewing Company & Taproom or enjoy a cold brew coffee at 918 Coffee. Guests can also meet new people over a drink or paper boat of deliciousness found at the Fuel 66 Food Truck Park. Aside from popular gathering spaces, the Kendall Whittier District also boasts a variety of creative businesses owned by locals. Head to the weekly Kendall Whittier Mercado to pick up crafts made by district residents, or choose an artful arrangement of flowers from Ever Something Flower Shop. Local vintage store Jo and June is sure to strike up interior design inspiration, while Urban Art Lab Studios will provide plenty of artwork to fill blank walls at home. While exploring this art-friendly district in Tulsa, be sure to support a diverse range of local arts, from hearing live music from locals playing at the Beehive Lounge to witnessing a latte art throwdown at Fair Fellow Coffee. With close proximity to conjoining downtown districts, East Village District serves as a bridge between the Blue Dome Entertainment District and the Pearl District. Though the area shares a similar emphasis on the arts, shopping and food, distinct features like the annual MOJOFest music event help the East Village stand out. To add a modern twist to this historic area, innovators have also constructed a cluster of shipping crate containers, known as The Boxyard. Venture over to the Boxyard to enjoy rooftop views of the Tulsa skyline as well as a myriad of local retail shops. Neighbors like Rose Rock Microcreamery and Open Container opened their doors and made their unique mark. You can also browse through Oklahoma-themed offerings found at Okie Dokie while venturing into the Boxyard. Although some of the buildings in this district were constructed as early as 1925, modern day shops combine an updated look with historic architecture. One of the district’s oldest businesses, Hodges Bend serves up a variety of tasty drinks, from craft cocktails and beer to coffee and wine. The East Village Bohemian Pizzeria also stands as another initial business that kickstarted the East Village District resurgence. The booming 1990s music venue, the Fur Shop also recently made a comeback after having shut its doors more than a decade ago. Bring the family and experience a piece of the past with a visit to the East Village District.